The best strategy for paying off a personal loan can be summed up in one word: preparation. No 2 borrowers are equal, and a loan perfectly suited to one person could easily be a cause of stress for another. That’s why it’s crucial to be prepared. Before taking out a personal loan, it’s important to figure out what you need the money for, how much you need, and how you plan to pay it back. Before thinking about anything else, it’s best to have an idea of how much money you need to borrow. Will you be using the funds to pay off a specific debt or expense—such as credit card debt or a large purchase—where you know the exact sum? Or are you planning to use the loan to cover multiple expenses, and you only have a general estimate of the amount? Whatever the answer, try to avoid the temptation to take out more than you really need. There is a hidden advantage to taking out a smaller loan amount. When you pay back a loan on time, your credit score improves. The major credit-rating agencies don’t judge you any differently if the loan is large or small. Therefore, you can use a small loan to improve your credit score and if, in a few months, you find you need to borrow more money, you’ll find yourself in a position to negotiate a better rate. The size of your monthly payments is determined by 3 factors: loan amount, interest rate, and loan term. Assuming you already know your amount and have found a suitable rate, the one factor over which you have most control is the loan term. When the loan amount and interest rate are held constant, shorter terms equal higher monthly payments (but less total interest paid) and longer terms equal lower monthly payments (but more total interest paid). Using the example of a $20,000 loan with an interest rate of 5%, a 1-year term costs 8 times more each month than a 10-year term, but 10 times less in total interest paid over the life of the loan. Debt-to-income (DTI) is the main thing, alongside credit history, lenders look at when deciding whether you can pay off a loan. As the name suggests, DTI is a ratio of monthly debt payments to gross monthly income. Debt payments include loans, mortgage (or rent) payments, credit card payments, and other regular payments such as child support. If a borrower earns $5,000 per month before tax and owes $1,500 a month in debt payments, their DTI would be 1,500 / 5,000—30%. For personal loans, a DTI of up to 36% is generally considered acceptable, although the exact ratio varies from lender to lender. This doesn’t mean it’s necessarily a good idea to push the limits. While lenders only look at debt, you as the borrower can calculate total monthly expenses—including groceries, transportation, and other costs—to give yourself a complete picture of how much you can afford in monthly loan payments. The paradox of using a personal loan to cover an emergency expense is it can leave us exposed to future emergencies. When calculating your monthly income and expenses, don’t forget to leave a little aside for contingencies—unforeseen events or circumstances that could put you in need of cash. True, there’s nothing to stop you taking out a second personal loan to cover an unforeseen expense, but doing so carries a hidden penalty: your credit score can take a hit when you take out too many loans in a short period of time. In the section above, we discussed what you as the borrower can do to prepare for taking out a personal loan. But it’s also important to think about the party providing the loan: the lender. Choosing the right or wrong lender can make all the difference in determining whether you’re able to meet your monthly payments. When looking for a personal loan, always take the time to shop around and compare lenders. Some lenders offer personal loans worth as little as $1,000 (or less) and others offer loans as high as $100,000. Comparing lenders lets you find out which ones can cater to your desired loan amount. Most lenders will show you a pre-qualified rate just by filling out a short online form. Rates can vary significantly between lenders, so it’s best to compare a few before deciding on one. The larger your loan, the more interest rate matters. If you’re taking out a $5,000 loan with a 2-year term, each extra percentage point of interest will cost you an extra $2.20 to $2.40 per month and around $54 added to total interest over the life of the loan. For a $20,000 loan with a 5-year term, each extra point costs an extra $9-$10 per month and $550-$600 additional interest over the life of the loan. As mentioned in the section above, shorter terms equal higher monthly payments (but less total interest paid), and longer terms equal lower monthly payments (but more total interest paid). Different lenders offer different loan terms. Finding a lender that offers your preferred loan term will make it easier for you to meet your monthly payments. Many lenders deduct closing fees, such as origination fees, from the loan amount. These fees typically range from around 1%-6% of the total loan amount. Technically, the existence of closing fees shouldn’t make any difference to whether you can pay off the loan in time. But nonetheless, it’s something to be aware of when comparing lenders. 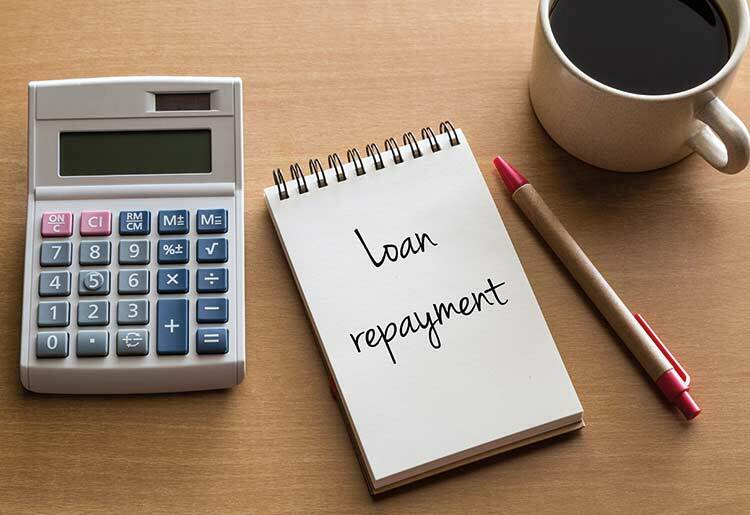 Some lenders charge a prepayment penalty if you pay off your personal loan early. Prepayment penalties are increasingly going out of vogue as online lenders compete for the attention of borrowers. Many lenders publish details about prepayment penalties on their websites, but other make their customers search for the information. If in doubt, ask. When preparing for a personal loan, always research both sides of the equation: you (the borrower), and the lender. First, understand what works for you: how much money do you need to borrow, and how much can you afford to pay off each month? Next, compare lenders to find one that can meet your needs.